It was cream teas and smiles all round yesterday at a special event to thank, and mark the contribution of, our wonderful ‘Opening Doors to Research’ Public Engagement Group (ODRG). There was a great turnout for the afternoon tea, organised by CHSS Public Engagement Officer Amanda Bates and with a delicious selection of scones, cakes, sandwiches, hot and cold drinks and healthy fruit on offer, perhaps this was not too surprising! 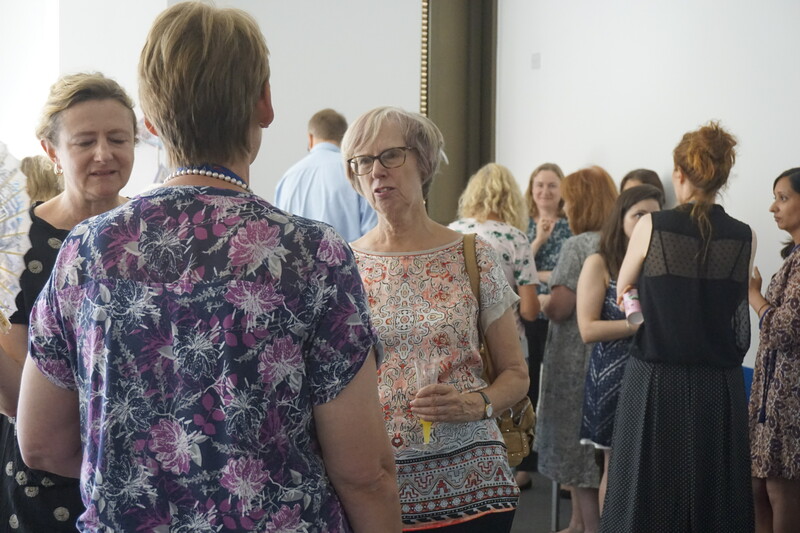 Many CHSS staff got together with around a dozen of our hardworking public members, all of whom are volunteers who give their time to support CHSS research. CHSS Director Professor Stephen Peckham’s opening address was a sincere message of thanks which highlighted the vital role of the public as start and end points of health research. Social Sciences Faculty Director of Public Engagement, Professor Alex Stevens presented each member of the group with a certificate in recognition of their commitment and hard work. For more information about ODRG and all our Public Engagement activity, see our webpages, or contact Amanda Bates on A.J.Bates@kent.ac.uk.